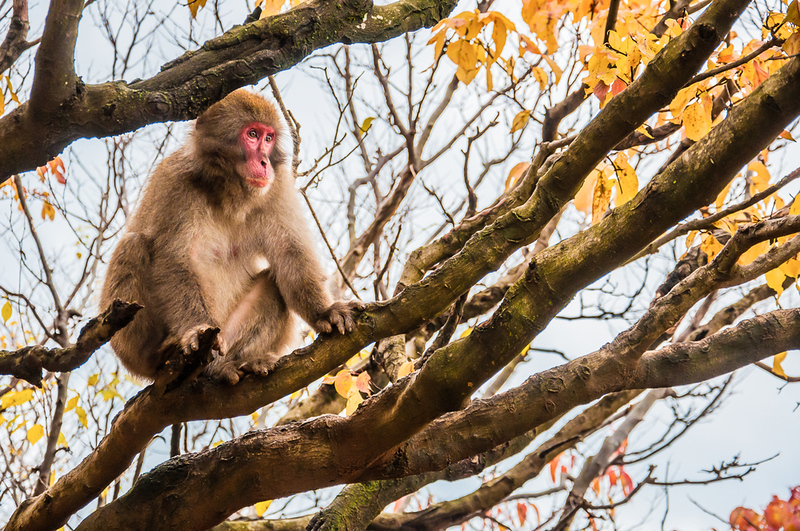 Escape the crowds and (if you’re lucky) mingle with the monkeys at Arashiyama’s lovely hilltop park, Kameyama-koen Park. Few foreign tourists every make it to Arashiyama’s Kameyama-koen Park, which is a shame, since it’s one of the nicest parts of the area and it is a brilliant refuge from the crowds that plague the rest of Arashiyama during busy seasons. You can reach it by two ways from the main street of Arashiyama (the one that runs in front of Keifuku Arashiyama Station and Tenryu-ji Temple). Either walk up the river on the northern bank, past the ryokan and restaurants, and then climb one of the flights of stone steps that lead up into the park. Or, after walking through the Arashiyama Bamboo Grove, take a left at the T-junction at the top of the hill and you’ll soon find yourself in the park. Make your way uphill and to the west to get some fine views down to the Hozu-gawa River and across Kyoto. Cherry blossoms bloom here in late March and early April and troops of wild monkeys occasionally patrol the park. Kameyama-koen Park is located in Kyoto’s Arashiyama district. 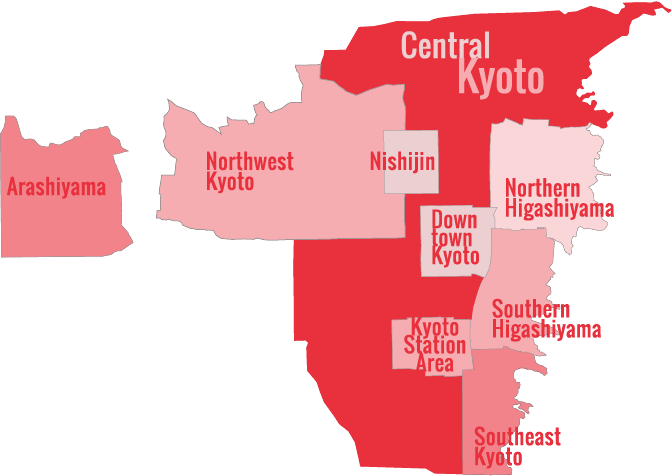 See our complete list of things to do in Kyoto’s Arashiyama district, including places to eat, nightlife and places to stay.